The Loch Ness Lake located in the Highlands of Scotland is said to have many monsters and cryptids, but the most famous one of all is called the Loch Ness Monster. The Loch Ness Monster, also known as “Nessie” has been a legend in Scotland since 1933. The first sighting of Nessie was in 565 AD but the sighting wasn’t given any attention by the media. The first speculation of the Loch Ness Monster was in 1933 from a sighting by a couple near the Loch Ness Lake. Nessie lives in the Scottish Highlands and in the biggest body of water in Britain. She is said to have two humps, four fins, a long tail, and a snake-like head. There has been no way to know what Nessie feasts on but scientist say if they find out what she eats there will be an easier way to find her. It is said that Nessie is not considered a mammal because she would have to come up for air and a lot more people would have spotted her. There have been numerous sightings (over 1,000) of Nessie and false images of her as well. The most famous photo of the Loch Ness monster was taken in1934 but later was discovered to be a hoax. The Loch Ness Monster has been reportedly seen on Google maps. In a robot found a large object in the Loch Ness Lake, but it later came out to be a movie prop in the lake from the 1970s film “The Private Life of Sherlock Holmes”. There have been multiple organized searches for Nessie and there are four people who are Nessie hunters as their profession. Robert Rines, Tim Dinsdale, and Steve Feltham are three of the four experts on the Loch Ness Monster. 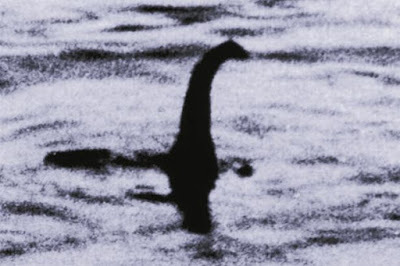 There has been a huge article going around titled “Loch Ness Hunter: Have we been catfished by Nessie?”. Steve Feltham a Nessie hunter for over 24 years believes that the Loch Ness Monster has been a catfish, and the sightings people have reported were sightings of a Wels Catfish. These catfish can grow up to 13 feet long. The expert says that these catfish can live a very long life and have been around for quite the time. The hunter since 1991 has ended his career searching for the monster and says he does not believe that the Loch Ness Monster is a prehistoric monster. The description of Nessie does not match the description of a catfish. The descriptions say that Nessie has two large humps and four fins with a snake like head but a catfish does not look like that. While this legend has been going on since 565 AD Steve Felthams search is over. A lot of Nessie believers do not believe Steve and are still continuously searching for Nessie because of more information out on the internet. Overall the legend of the Loch Ness Monster will forever be around even if Nessie is a myth or not. There are many attractions, news reports, and movies on the Loch Ness Monster and the search will never be over. Atherton, Kelsey. “Robot finds Loch Ness Monster (prop) in the lake.” Popsci.com, http://www.popsci.com/robot-finds-loch-ness-monster-prop-in-lake. Accessed 13 Apr. 2016. Imms, Katie. “Loch Ness Monster: 81 facts to mark 81 years since most famous Nessie 'photo' as hoax claims resurface” Mirror, 21 Apr 2015, http://www.mirror.co.uk/news/weird-news/loch-ness-monster-81-facts-5558997.